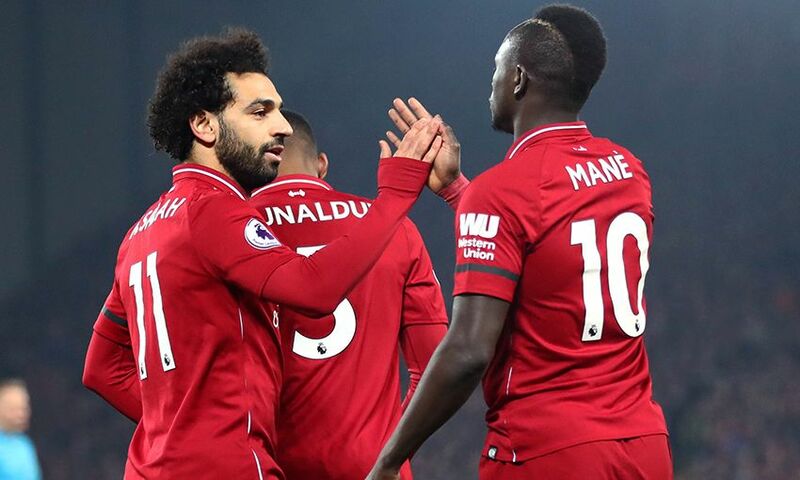 Sadio Mane and Mohamed Salah have equalled a goalscoring feat last achieved for Liverpool by Ian Rush and Kenny Dalglish. 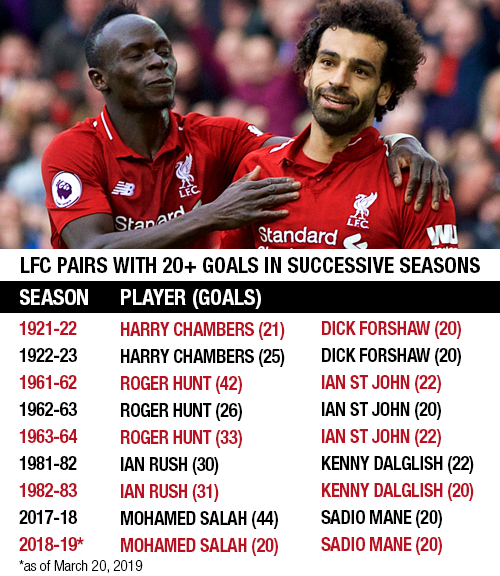 And the Senegalese's 26th-minute opener at Craven Cottage also means he and his teammate are the first pair to register 20 or more goals in successive campaigns for Liverpool for 36 years. Club legends Rush and Dalglish were the last Liverpool twosome to reach the 20+ mark in back-to-back seasons, doing so in 1981-82 and 1982-83. Rush netted 30 and 31 times while Dalglish scored 22 and 20 as Bob Paisley's Reds landed consecutive league title and League Cup doubles. Only one Liverpool pair have ever managed to hit the 20-goal mark over three successive terms: Roger Hunt and Ian St John, who did so under Bill Shankly in 1961-62, 1962-63 and 1963-64.